“My Helper O God You Are!” The SCOAN Choir sang as The SCOAN Live Sunday Service went into full swing, leading worshippers to a state of tearful brokenness before the Lord. 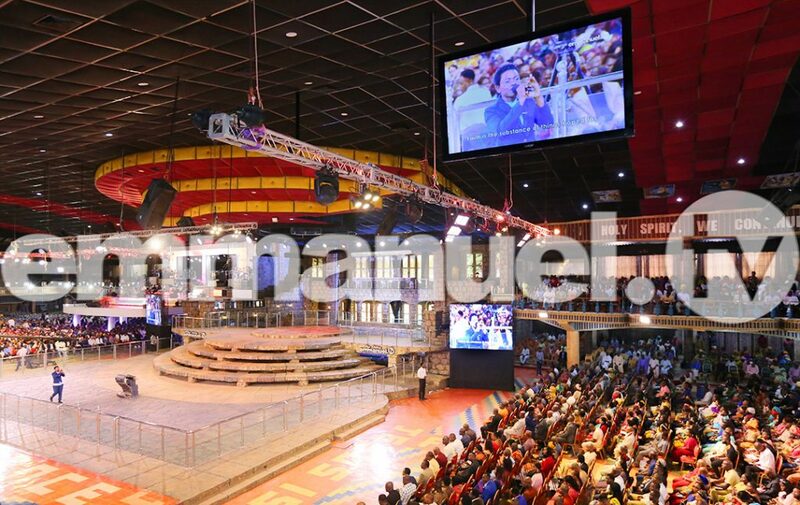 The Spirit of God tore through every heart to prepare it for another ground-breaking service at The SCOAN. 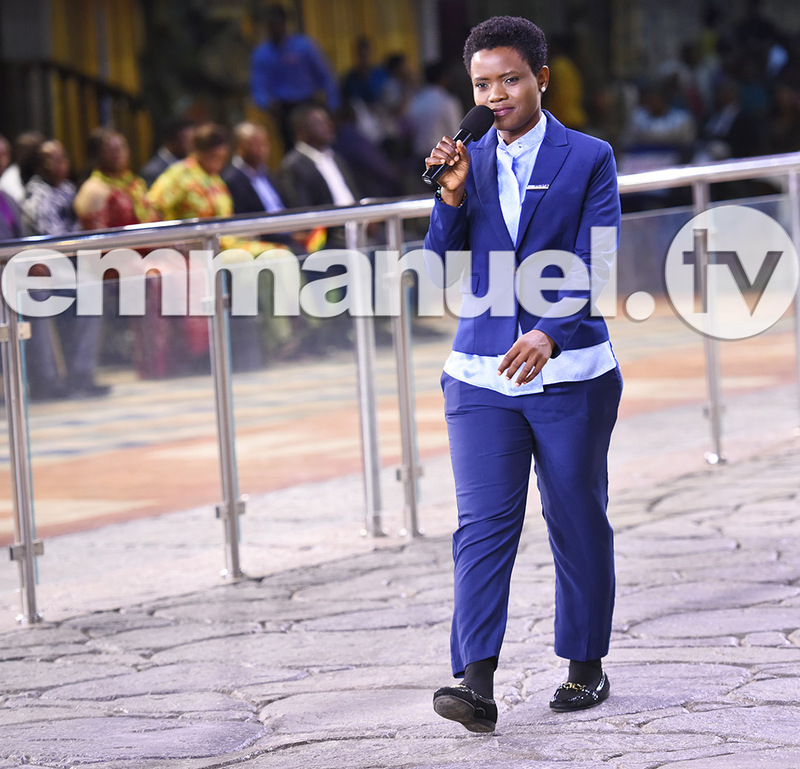 In an atmosphere of praise and worship, the congregation rejoiced as a new minister appeared at the altar, a woman of God, Yinka with the message of the day, TRUST – MOVE THE IMPOSSIBLE. To be sure, the God of impossibilities showed Himself strong as Yinka preached powerfully on the essence of walking in faith to move mountains and do the impossible. Certain of God’s trustworthiness, Yinka said it is important for Christians to activate their faith with the substance of patience, confidence, obedience, perseverance and endurance. Pointing out that “faith is not a legalistic formula created and accepted by man,” Yinka referred to Prophet T.B. Joshua’s observation that prayer for any special object must be followed by an attitude of absolute trust in the Father that He is working out the answer. The proof text for the day came from James 2: 14-24, the well-known passage about faith and works. Life, they say, begins at 40. But for 52-year-old Mr Jonathan Ikiouks, it was misery that began for him 12 years ago. A diagnosis of lumbar spondylosis made it extremely difficult for him to walk. To aid his movement, the doctors gave him a lumbar corset and walking stick but the aids did next to nothing for him. And so, this teacher from Bayelsa, Nigeria found it virtually impossible to perform his classroom duties as he constantly felt severe pain in his lower back. Eight years into his condition, in 2014, Mr Ikiouks eventually subjected himself to surgery in India but six months afterwards, the pain returned in demonic ferocity. 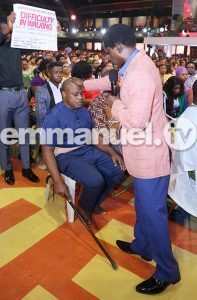 For another four years, Mr Ikiouks bore it all like a man but when he could no longer rely on human efforts, he sought Jesus at The SCOAN. With unshaken faith in his heart, Mr Ikiouks implored God’s servant to pray for him. Giving all the glory and honour to Jesus Christ the Master Surgeon, the man of God laid hands on the ailing man, praying for him in the name that is above every other name: Jesus Christ. For a God who honours His name all the time, Heaven’s answer came in only a matter of moments. Springing to his feet, Mr Ikiouks’ joy knew no bounds: “I’m free! Thank You, Jesus! I can walk now. Oh, blessed be Your name, God!” Accompanying Mr Ikiouks to the testimony platform was his younger brother, who recounted the difficult journey they undertook to India and how relieved the family is now, to the Glory of God. Concluding his testimony, Mr Ikiouks advised people to seek God and understand that nothing is impossible with Him. GENTLE AS A DOVE, MRS PRINCEWILL NO LONGER WANTS TO BEAT HER HUSBAND UP! Last week, for the Princewill couple, was a reinforcing of the almost broken cord of love. Before Mrs Esther Princewill found her way to The SCOAN and before she finally managed to get her initially reluctant husband to tag along with her last week, the Princewills’ marriage had been headed for the rocks. Why? It was because the devil had sown the seed of discord in the marriage. Because the couple had not seen the spiritual light, they did not know that it was the devil having a field day in their home. The devil’s work manifested in different ways. In the first place, the devil caused love to disappear from the marriage and the couple started to drift apart. Then, the devil put the spirit of anger in Mrs Princewill, causing her to explode over the slightest domestic issue. Things were so bad that she would frequently threaten to beat up her husband. On his part, Mr Princewill withdrew into his shell, even refusing to let his wife know his exact place of work for fear that she would come there to beat him up! Even more sinister was the fact that Mrs Princewill always dreamt she was eating with dead relatives and visiting graveyards and mortuaries; several people also told her they dreamt of her dying. The voice of death started murmuring into her ears: ‘I will soon get you.’ This was the point when Mrs Princewill came to the house of God, having fasted and meditated on Zechariah 4:6: “…. Not by might nor by power, but by My Spirit,’ says the LORD of hosts.” During the time of laying on of hands, the man of God located her and prophesied about her aggressive, dominant spirit. 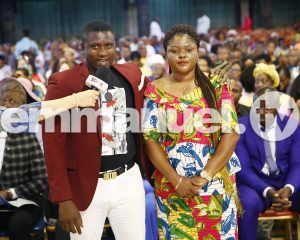 Praying for her in the mighty name of Jesus, he assured her that God had taken control and that her marriage would be blissful henceforth. True to God’s Word, the Princewills radiated love and a new found affection as they testified in church on Sunday. According to Mr Princewill, “I didn’t even know my wife was this beautiful”. Mrs Princewill said that her husband has been showering her with love, affection and even money and she now knows where he works! “Today,” she said, “we now live as husband and wife, as brother and sister and as lovers”. 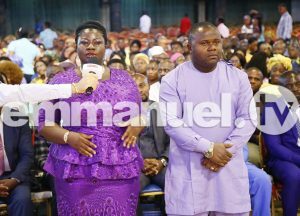 She urged people to realise that they cannot change things on their own unless God is involved, especially in marriage. What else but trouble could a married man be courting by calling and taking calls from girlfriends in the presence of his loving wife? Trouble was indeed what Mr Dielaye got. Thinking he was having the fun of his life, Mr Dielaye, from Bayelsa, Nigeria let himself be consumed by the spirit of lust and whiled away his time clubbing endlessly. When the couple came to The SCOAN, God took over and the scales fell off Mr Dielaye’s eyes. “I felt something like a hammer hit me. I couldn’t control myself, couldn’t stop myself from saying those things,” Mr Dielaye said in reference to what happened after the man of God touched him, in the mighty name of Jesus Christ. Speaking about the past and how she reacted to her husband’s former actions, the soft-spoken Mrs Dielaye said she sometimes fought off the other women over the phone, believing it was a phase that would go away. Vowing never to return to his womanising ways, Mr Dielaye confessed: “I now see the true light after my deliverance.” Mrs Dielaye advised people to consult God on their problems instead of simply assuming they are natural. 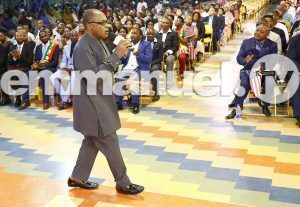 Mr. Dielaye spoke in the same vein, advising people to be wise to the wiles of satan and not toy with the spirit of lust. We rejoice in the goodness of the Lord and thank Him for His mercy and favour upon our lives as we reflect on all He has done in our midst during our recent SCOAN Live Sunday Service. To God be the glory!